At Door Systems Metro Boston, we are committed to providing our customers with exceptional service and the best products on the market. We have many years of experience in the industry, our team is highly qualified, and we know everything about garage door repair, sales and installation as well as garage door openers. This why we not only sell the garage doors manufactured by Garaga but also consider the training of our technicians as a matter of utmost importance. You can trust us for all your garage doors needs. With us, any problem will be quickly solved. Your door will work perfectly and safely. We, at Door Systems Metro Boston, have the solution! Does not reverse direction mechanically? Stops before touching the floor? activate, or turn off by itself? make unusual and disturbing sounds? Whatever your need, Door Systems Metro Boston will ensure that everything will be repaired, adjusted or replaced with precision and in a timely manner. We provide emergency garage door services 24/7. Our technicians and installers are highly qualified and accredited. 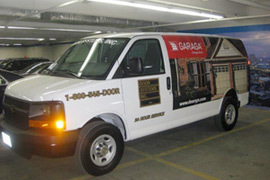 As experts certified by Garaga, our service is characterized by a high level of professionalism. We offer the best advice because we know our products inside and out. We are courteous, prompt, and reliable. We have excellent reviews that you can consult on Angie's List or on Best Pick Reports. We are a member of the IDA - International Door Association and of the Professional Door Association of New England. We are a United States Environmental Protection Agency (EPA) Lead‑Safe Certified Firm. We are a BBB Accredited Business and an IDEA Accredited Door Dealer. We cover the residential, commercial and industrial sectors. You can make an appointment online. And finally, we love what we do! Springs (counterweight system) may lose strength and break due to normal wear caused by stress and the weight of the garage door. As the springs play an important role in opening and closing the garage door, they must be serviced or repaired frequently. For example, to extend the life of the springs (torsion‑type only), you could spread engine oil on them and wipe off the excess. However, it is dangerous to adjust the extension-type springs by yourself, because they are under high tension. This is why they need to be supported by a security cable. If your garage door was not provided with one, we strongly recommend having one installed by our experienced technicians. You should remember that if your garage door is equipped with extension or torsion springs, both systems must be regularly inspected and serviced in order to ensure maximum reliability. For your peace of mind, take advantage of the preventive maintenance program provided by our professionals at Door Systems Metro Boston We will test all safety devices, we will replace only the parts requiring replacement, and your garage door system will function perfectly! We are available to answer all your questions, so do not hesitate to contact us (Tel. 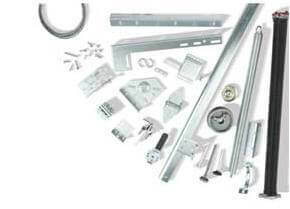 : 508‑875‑3508 or 1‑800‑545‑DOOR) for your garage door installation, repair and maintenance needs.